Bird and Lime scooters are applying to return to Indianapolis. They are effecient and cost-effective, but who is liable when scooter accidents result in injury? 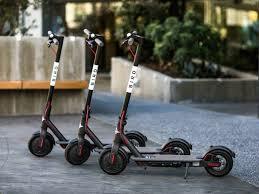 Electric scooters from companies like Bird and Lime are now commonplace in cities all over the country. While they only made a brief appearance in Indianapolis earlier this summer, both companies have submitted applications to return to Indy with even more scooters than before. These e-scooters are an efficient and cost-effective way to get around the city, but they also put riders and non-riders alike at the risk of injury. Operating agreements from both companies require riders to wear helmets and always follow traffic laws, but even with these requirements, emergency rooms are seeing severe injuries caused by scooter accidents. In addition to scooter riders being at risk of injuring themselves, scooters also put pedestrians at risk. Pedestrians can be injured when they are struck by a scooter or by tripping over a scooter that has been discarded on the sidewalk. As we see the return of Bird and Lime scooters to Indianapolis, we will no doubt also see accidents and the resulting injuries to scooter riders and pedestrians. If you have been involved in an accident, call the Indianapolis injury attorneys at Pavlack Law at 317-251-1100 for a free consultation.